Months in the making, years of work-travel life, we are thrilled to celebrate the Digital Nomad launch. 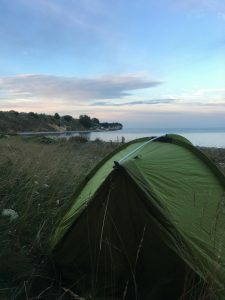 This is not just another digital nomad blog. 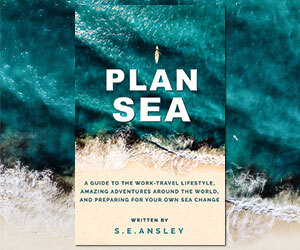 The goal is to make this The Ultimate Digital Nomad Blog. An endless assortment of new travel articles, city features, cost-saving tricks, disruptive technology and early adopter apps. Interviews and case studies of people living a similarly free lifestyle, their way. Coaching, resources and constructive encouragement for those considering Taking The Plunge. How to start up and blossom a venture on around $100. Tools and training for the DIY. Services for the Do it For Me crowd. 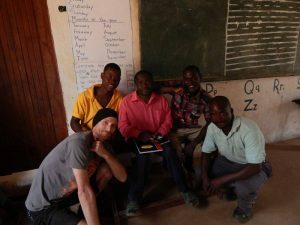 Connecting with other like-minded travelers and entrepreneurs around the world. An exclusive test drive of our forthcoming Brainstorm Machine. Wherever we visit around the world, whatever we learn in life, love and business, we share at digitalnomad.blog. We are going to help you start up whatever crazy idea, project or destination you may have in mind. First, it’s a good idea to know what this is all about. Hello! My name is Sea. I am from five places; a citizen of the world. No fixed address. 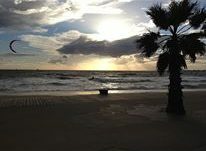 A traveler since birth, the past four years I’ve truly lived the nomadic work-travel life. I run an online business on the road, maintaining numerous side projects and social undertakings. 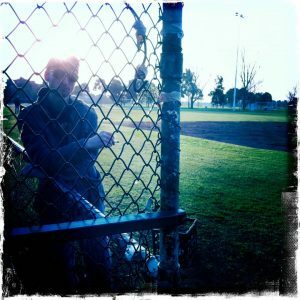 I’m a high school softball coach; I’m writing my second book. Ups and downs. Love, loss and heart ache. Bunk accidents and tooth break. My mantra in life is to help bring peace to the world. To my own life. Help inspire coming generations to make this world a better place. To respect and reflect on the beauty of the Earth, its creatures, and our place in it. This mission is prevalent in everything I set out to do. I want peace. I seek truth. At some point, despite what society looks like now, I believe (and hope) the world will finally get there. Today, this momentous evening, I write from Seoul, South Korea. My view is of the spaceship at Dongdaemun. I’ve enjoyed Korean life for over two months. In a few weeks, I head to Thailand; after that, I’m not really sure. Life comes a day at a time. My journey has taken some wonderfully unexpected turns. After departing Melbourne in June, via Sydney, I shared my birthday in a national park near Byron Bay. 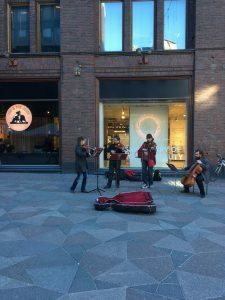 My travels took me through Helsinki, Berlin, the Czech Republic, Bruges, Amsterdam, and Denmark. I spent five weeks in India, with two weeks in the experimental utopia of Auroville. 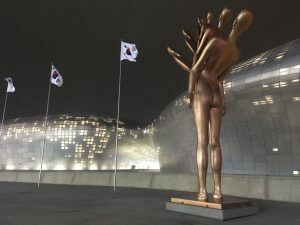 After nearly a week in Thailand, I jumped on cheap flight to Seoul, to blossom a recent flame. Together, we’ve explored South Korea, including two magical weeks on Jeju Island, and a lot of time around Seoul. These articles are the first we feature on Digital Nomad. This trip has been on an extremely shoestring budget. I had a poor year financially. A rich life does not necessitate money. In fact, I would argue that the less money you have, the more fulfilling your experience. You have to find creative ways to survive, to explore, to satisfy your thirst for adventure. This whole dream began this time four years ago, when I was on the verge of changing, or ending, my life. From Despair to Dream… to Doing It. Four years ago, I was at one of the lowest points of my entire life. A miscalculated hip-hop fundraiser for Australian Indigenous awareness put me two months rent out of pocket. Money I didn’t have to lose. The event was top notch, but didn’t fulfill the objectives. I felt I let the Indigenous spirit down. It was an absolute stress on the night – I didn’t even enjoy my own party. Worse for myself, I could not afford to pay my rent. I had a fairly expensive St. Kilda beach apartment in Melbourne. 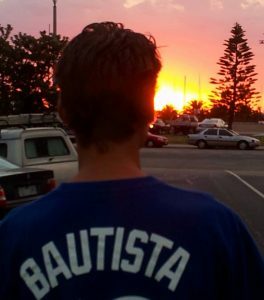 Australia is ridiculously pricey to begin with. No stable income. With more extreme money stress, there were some pretty dark days. I felt alone and useless, tired of my “failures”. My entire life had been a struggle, particularly never getting my head around the sham of money. Single and lonely. I considered some ultimate, bleak things. 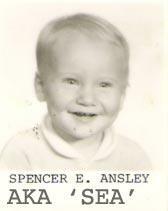 I decided I was going to give myself one more year, and, if things remained the same, perhaps end it. What happened was miraculous. Here came a mental paradigm shift. The owner was ill and seeking to move back in. (Later, I learned she simply wanted to sell the property). This allowed me to ditch my expensive rental, to great relief. I cut out a few other material things and unnecessary obligations. Soon after, I rented a room at a friend’s house off vibrant Chapel Street. This saved me money and stress, provided me more time for the things I loved. I enjoyed festivals and fun nights out. Life was great again. Meanwhile, I resolved to make a few dreams happen. 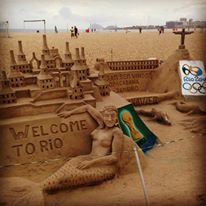 I saved up for flights to South America, and bought a couple of World Cup tickets for matches in Brazil. Plans to attend my first Burning Man – the incredible, temporary city of art and principled society, in the Black Rock Desert. I had all these amazing things to look forward to, enjoying my new homely confines. Nothing to lose. Every single day became exciting in itself. Tomorrow didn’t matter. Suddenly, the trip came. I headed to the airport, for my flight to Santiago de Chile. 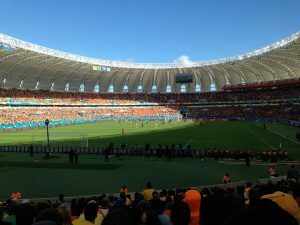 A month later in Brazil, running late through a park towards the stadium in Porto Allegre, to catch Netherlands-Australia. Stepping into the roar of the World Cup stadium. My life long dream had come true. Suffice to say, that first trip was incredible! 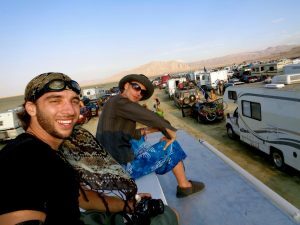 Three months in South America, my first World Cup, the journey to Burning Man. A couple of weeks to visit my family in Toronto. It was the best extended experience of my life so far. On the way back home, I attended Australia’s regional burn, Burning Seed. This helped transition me back from my dream trip into Australian life. Super chill and giving. I returned to Melbourne, absolutely buzzing with inspiration. No idea what it was all about, just that something huge was inside me. I wanted to live this lifestyle for a long time to come, and craft a plan to make it happen. Precisely the same time is when I learned more about all these new domain extensions that had very recently hit the Internet. Hundreds and hundreds of new dot things. I was so excited. This was, literally, the new .com boom. The New Black… dot black. 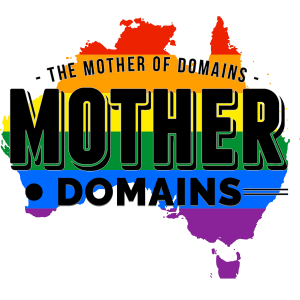 On November 2nd 2014, after elevated thought, I came up with the ultimate, Mother of Domain Names – mother.domains. I now had a plan to match my vision and ambition. I rapidly gathered excited support from many places. My online business that could sustain my work-travel life, and maybe one day fund my wildest dreams, was born. Today, Mother.Domains offers 420+ domain names, rapid web hosting from over 12 international locations, and specialised web development services. Four years after my darkest hour, I’m finally living the dream. My company has hundreds of international hosting and domain clients, pays the bills and my business expenses. Next year I’ll receive a wage. 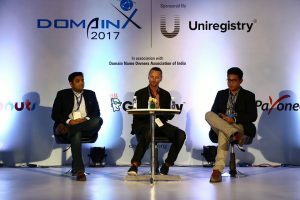 In August of this year, I was a speaker at the annual DomainX domain name conference in New Delhi, India. Through that, I met the managers of BlogX – the national convention for Indian bloggers. They asked me to speak at their big BlogX event in 2018 (date TBA). 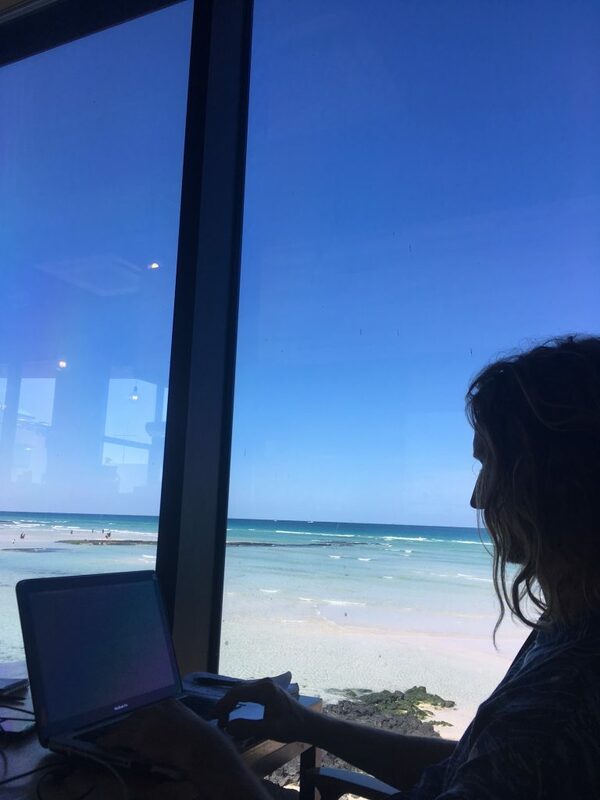 I’m developing digitalnomad.blog as the living example to present at BlogX 2018. Something to tie together my own interests, my passion for travel, and empowering others to break free of systematic chains. To share with bloggers, travelers, and anybody else in the world who see value in my experiences and perspective. With this, digitalnomad.blog was born. Life is truly about the journey. Once you reach the destination, there are more destinations ahead. While there are downs, ups are on their way. I’ve made a lot of mistakes in life, and learned a lot of lessons. Whatever I can share to make this journey easier for you, I’m proud to pass along. If our content and vibe can help you in any way, to attain your own dreams, to enjoy your next adventure, to save a heap of money.. we’ve succeeded. You’ll be among the first to try our upcoming Brainstorm Machine, and play with other new creations we’re developing. We’ll leave it to you to start dreaming. Come back again next time to start planning your next adventures. Let us know what we can do to help. 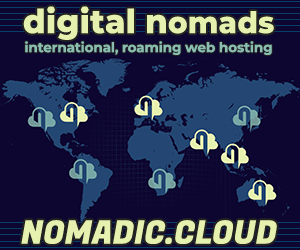 Thank you for being part of the Digital Nomad launch.